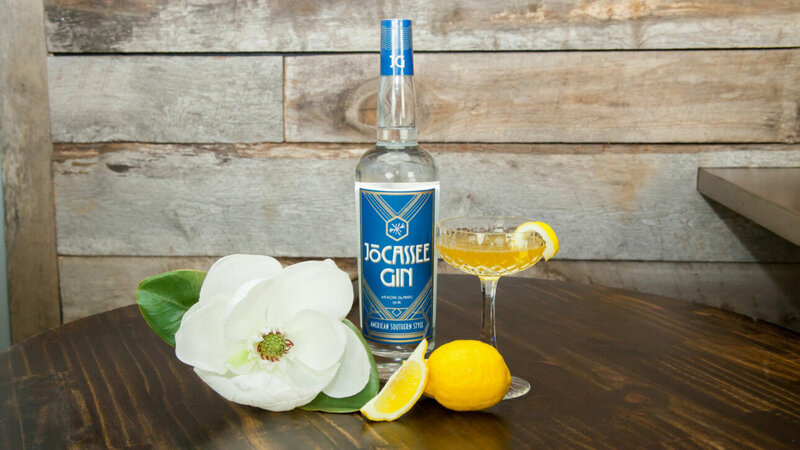 South Carolina’s Dark Corner Distillery has launched their latest small batch spirit, dubbed “Jōcassee Gin”, which puts a fresh Southern twist on an undoubtedly classic spirit. Handcrafted in small batches by Greenville’s Dark Corner Distillery – the first federally-licensed whiskey distillery in South Carolina since the prohibition era – Jocassee Gin is pot distilled with a subtle Juniper core. The taste profile is crisp and clean, with notes of citrus, honeysuckle and magnolia blossoms. It’s the perfect gin to bring to the lake… or to bring the lake to you. JOE FENTEN, DIRECTOR OF DISTILLERY OPERATIONS[/vc_column_text][/vc_column_inner][vc_column_inner width=”1/2″][vc_column_text]“We’ve been following millennials’ surging interest in gin, specifically the new western and American styles,” shares Joe Fenten, Director of Distillery Operations. Fenten further describes the new spirit as “artfully crafted with more attention to balance and less on juniper. Our Jocassee Gin is refreshingly southern and inspired by the wonderful bounties of South Carolina’s own Lake Jocassee, including a delicate bouquet of magnolia and honeysuckle blossoms paired with a trinity of citrus fruits. Jocassee Gin was inspired by a one-night retreat at a mountain lodge on the hillside of Lake Jocassee. Between watching sunrise on the dock and sunset around the fire, the theme for our gin became very obvious.”[/vc_column_text][/vc_column_inner][/vc_row_inner][vc_column_text]Dark Corner Distillery is a craft micro distillery that focuses on producing small batches of quality moonshine, whiskey, gin, absinthe and other spirits – all while educating visitors on their Appalachian history. Traditional, long-standing methods help to create the rich full-bodied taste profiles of all their award-winning spirits. Today’s product line includes: Jocassee Gin, The World’s Best Moonshine, Whiskey Girl, Lewis Redmond Whiskey, and Stumphouse Whiskey.